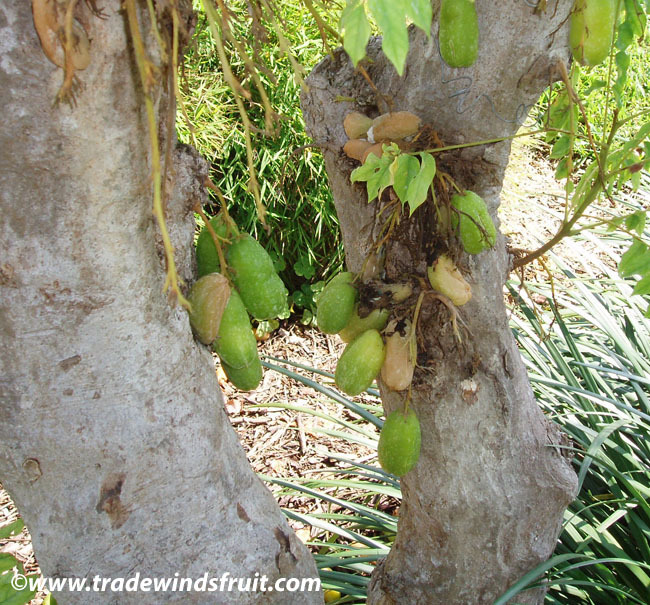 Multi-lobed, oblong fruit with a pale green waxy skin and crunchy but watery flesh, very similar to the star fruit, although the flesh is much more acidic. 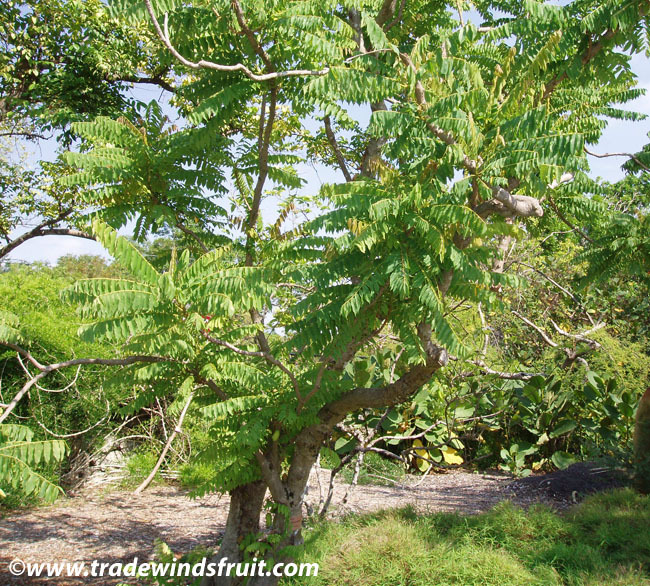 A pretty, usually small or medium sized tree growing to 15-30ft. The leaves are borne on leaflets often containing several dozen smaller leaf-pairs, which close together at night. Flowers bloom from the trunk, often in great number toward the bottom of the tree. 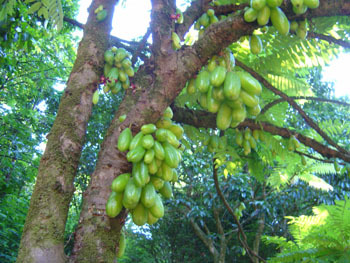 Fruits follow, and a single tree often produces hundreds and hundreds of fruits. 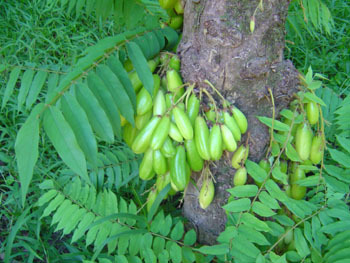 The bilimbi prefers a tropical environment, and generally needs year-round water. Keep humidity relatively high. The most common use for the fruits is a flavoring for prepared fish and meat dishes. Fruits are also used for beverages and preserves. 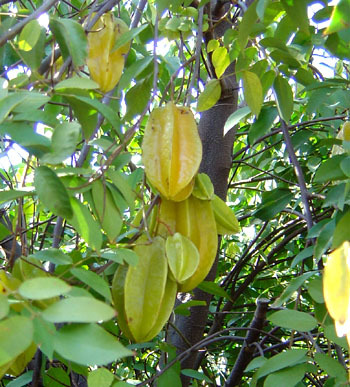 They are quite acidic and unlike the star fruit, are usually not eaten fresh out of hand. Native to Indonesia. Grows semi-wild throughout southeast Asia. 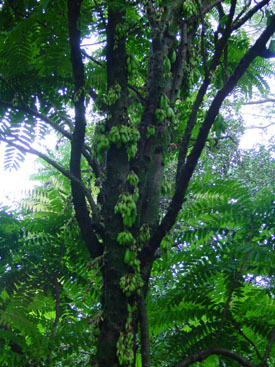 The tree is also cultivated in parts of southeast Asia.